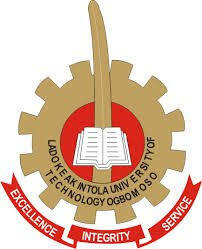 The management of the Ladoke Akintola University of Technology, Ogbomoso (LAUTECH) has released the mid-semester test siting arrangement and timetable for the 2017/2018 academic session..
LAUTECH Mid-Semester Test Timetable and Sitting Arrangement. 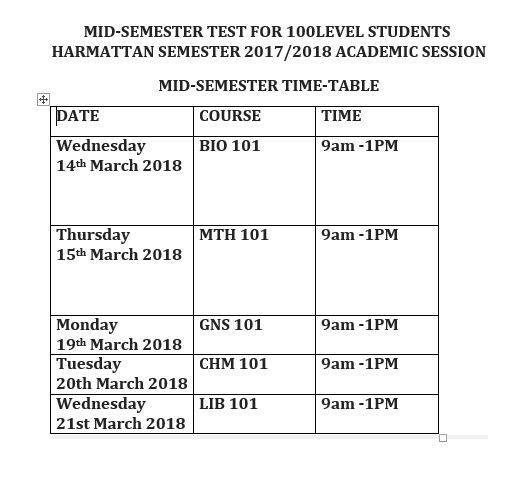 100 level Mid semester test is scheduled to hold between Wednesday, March 14th and Wednesday, March 21st 2018. Please find attached the timetable as well as seating arrangement for the test. All students are advised to adhere strictly to the batching arrangement as there will be no change of time for anyone.